Kyneton Caravan Park to Close on 6th April 2010. 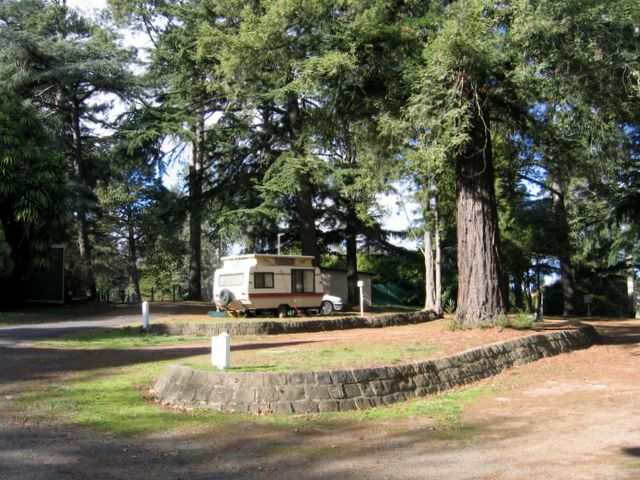 “Following an independent and detailed review of Kyneton Caravan Park, a decision was made by Macedon Ranges Shire Council in April last year to close the park. This will now happen immediately following Easter, with the last visitors leaving on Tuesday 6 April 2010. For many years, visitors – both locals and tourists, have enjoyed the natural beauty of the Kyneton Botanical Gardens, in which the caravan park is located. For this very reason, the issue of managing the caravan park has been a complex matter. The land on which the park is located is Crown land and is also listed by Heritage Victoria. Macedon Ranges Shire Council took over management of the park in 2008 when a private operator experienced difficulties with management of the park, but this was agreed to only with the proviso that a review of its future be undertaken. As part of the review process, Council invited all members of the Kyneton community and various stakeholder groups to community consultations about the future of the caravan park. A number of focus groups were held, where everyone was invited to have their say about the future of the park. These consultations were held in March 2009. As part of the decommissioning of the park, a Master Plan of the Kyneton Botanic Gardens will be completed which will identify any further uses of the park, including the siting of potential infrastructure such as a community park. The Kyneton Community Park Committee identified an area of the botanic gardens as their preferred site to build a community park, following an extensive analysis of potential sites by the committee and significant community consultation, asking the community where they thought the best location for the community park would be. The proposed park is intended to be a free community space for use by residents and visitors, with equipment and facilities for people of all ages, including natural play elements, some play equipment, stepping-stone pathways, a natural amphitheatre and barbecue area. Whilst Macedon Ranges Shire Council has given in-principle support for the committee to continue to investigate this as a potential site for a community park, there is no guarantee that it will be located in this area. Macedon Ranges Shire Council fully supports and understands the importance of tourism, including caravanning, and is committed to working with government and the private sector to encourage the establishment of a new, privately-owned holiday park or similar accommodation to meet visitor needs. To address this, Council’s Economic Development and Tourism Unit has partnered with Tourism Victoria to undertake an analysis of accommodation supply and demand in the Macedon Ranges and consultants have been appointed to carry out this project. The study will provide valuable data for potential investors looking to develop accommodation in the region, and Macedon Ranges Shire Council intends to produce an investment prospectus before the end of June 2010″. Posted on March 22, 2010 March 22, 2010 Author JohnCategories Caravan Park Closures, Caravan Park NewsTags KynetonLeave a comment on Kyneton Caravan Park to Close on 6th April 2010. Whitsunday Gardens Holiday Park at Airlie Beach. This parked closed about 12 months ago. Mountain Valley Caravan Park at Cannonvale. According to Ernie this park been closed for about 12 months if not longer. The property is owned by Hutchinson Builders and is now a camp for their staff. The photos of the park remain on this site and if you have stayed at either of these parks and have some memories and photos to share please contact me. It is indeed unfortunate that the rate of park closure is higher than the rate of new parks being built. Posted on May 22, 2009 May 22, 2009 Author JohnCategories Caravan Park ClosuresTags park closureLeave a comment on More Caravan Park Closures.